Click here to find Jungle Speed and DIXIT games. 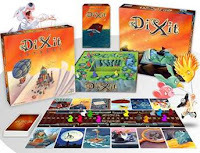 WIN: 24/7 MOMS and Asmodee are giving away a Jungle Speed and DIXIT games. 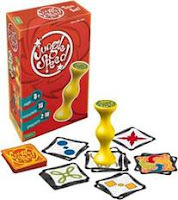 * We received a complimentary Jungle Speed and DIXIT Games for review no financial compensation was received. We love board games! I am already a subscriber. I like daily mom deals on facebook as Mary Monahan. Like Daily Deal Mom on Facebook. Kristie Morrison Donelson. kristiedonelson(at)gmail(dot)com Thank you. Like you on Twitter. kdonelson. kristiedonelson(at)gmail(dot)com Thank you. I follow you on Facebook as Kelly Ann T.
I subscribe to 247 moms. We love games in our family!